Just when I thought I was out, ‘Gotham’ keeps pulling me back in! So up to this point, ‘Gotham’ has had a somewhat uneven output. For every good and interesting episode we’ve had one that feels lazy and indulgent. With episode 7 however, ‘Penguin’s Umbrella’, things are finally starting to fall into place creatively. So Jim Gordon has been saved from jail but he is now at the mercy of Don Falcone. When Jim refuses to accept Falcone’s summons, he is targeted by Falcone’s key enforcer, Victor Zsasz. 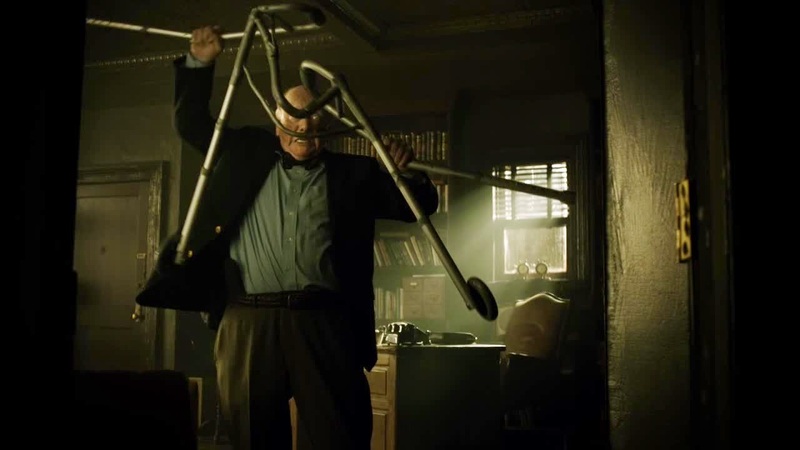 Now as I’ve said before, ‘Gotham’ works best when it largely ignores the more fantastical parts of the mythos. Now the character of Victor Zsasz is relatively strong and could easily be adapted into a more serious world, he could be but isn’t. Where we could have the almost religious Zsasz who believes he is ‘saving’ those he kills, we instead get another cartoonish weekly supervillain. To be precise we get the Kurgan from Highlander. 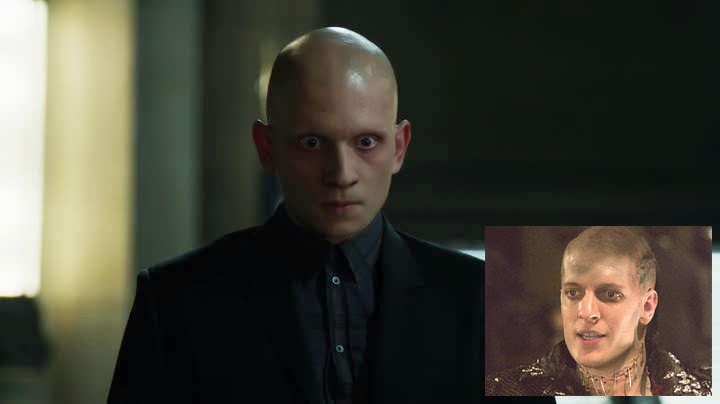 That being said, Zsasz is still a credible threat. One of the nicest scenes in the episode is between Gordon and Zsasz. 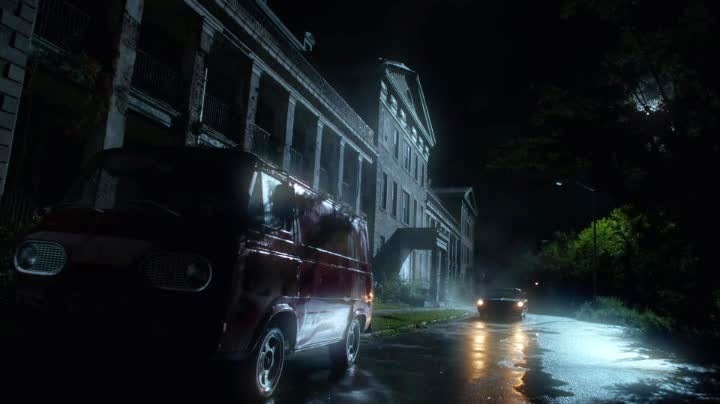 Zsasz arrives at the GCPD to collect Gordon, Jim believes that he will be protected by the police but they abandon him. The power play between Gordon and Zsasz is well handled and they have good chemistry. The budget this week seems to have been raised along with the stakes. The ensuing gunfight between Zsasz and Gordon would be pretty impressive for a film, let alone a weekly television show. While Gordon fights for his life, a fight is also taking place between Maroni and Falcone. 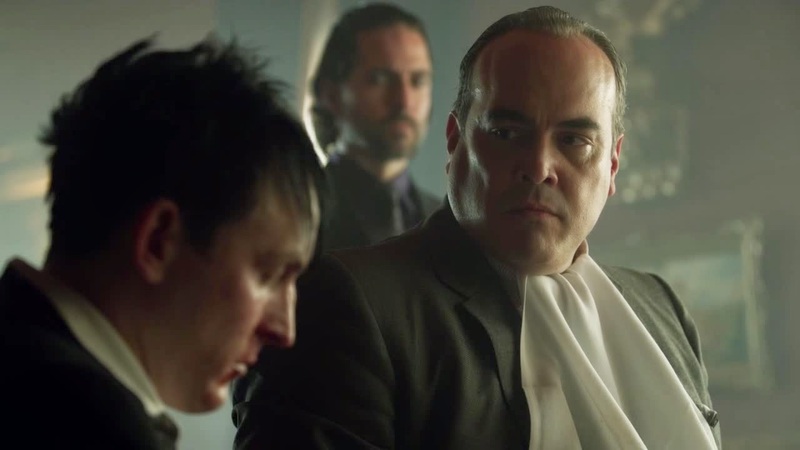 Falcone wants the return of Oswald Cobblepot; Maroni wants to keep him at his side. The back and forth attacks are brilliantly staged and directed. 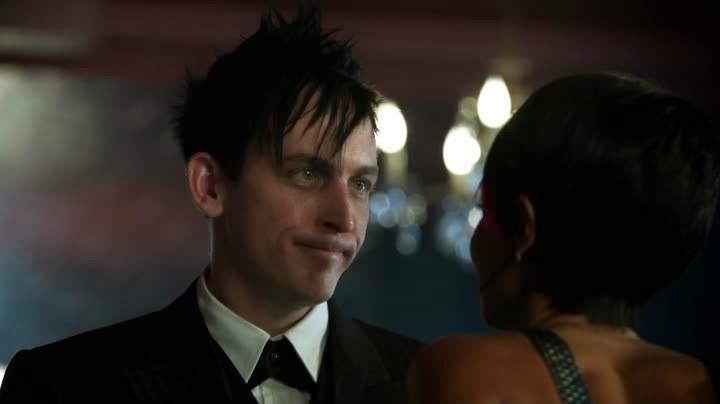 These scenes also give Robin Lord Taylor more opportunity to shine as the Penguin. Every new episode allows his character to grow and develop yet more unpleasant shades of the crime boss he will one day become. 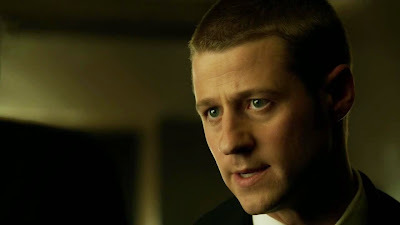 Jim Gordon, having been saved by Montoya and Allen, decides to make one last stand against the corruption of the city. Gordon, along with a drunken Bullock decide to arrest the Mayor and Falcone for their crimes, even if it kills them to do so. Now the entire episode has been very heavy on twists, most have been nothing major and they have been well handled. The final big twist of this episode is great. It is fantastic but it is also kind of stupid. I suspect that future re-watches of the series will only undermine the twist more, hence why I’m not spoiling it. To say the final twist is contrived would be a huge understatement. To tie everything up in a neat bow in this way doesn’t really fit with the tone of ‘Gotham’. Having said that it genuinely surprised me and it has left me with excitement for how things will play out from this point on, everything a cliffhanger should do. Now this episode of ‘Gotham’ is really strong, the strongest so far. It is brilliantly paced, wonderfully directed and was a genuine pleasure to watch. That being said it still has some issues. The handling of Victor Zsasz is not brilliant and Gordon’s unexplained friendship with Bruce Wayne returns. 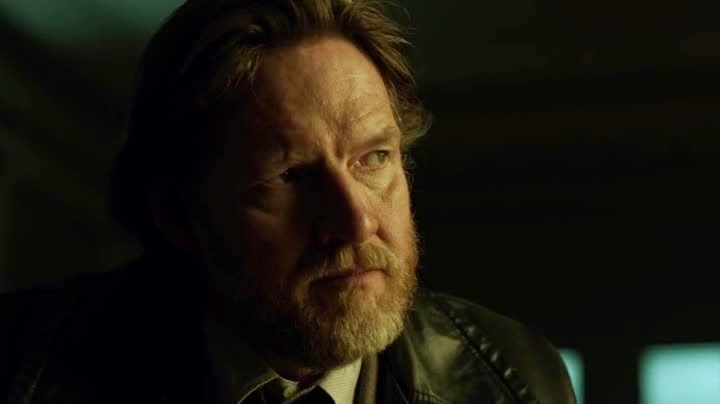 We are constantly shown that Jim Gordon is one of Bruce’s closest friends but we don’t know why, all we know is that Jim promised to find the Wayne’s Killers but that isn’t enough. We as an audience know that Jim is in the extreme minority in wanting to solve the Wayne case but Bruce doesn’t know this, or if he does we haven’t seen this reveal. 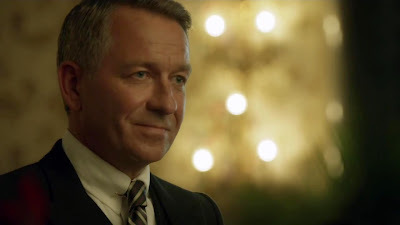 If ‘Gotham’ is going to continue to pretend that Batman is as interesting as his villains it needs to make a lot more effort to establish the character of Bruce Wayne, a lot more. This week has shown however that Gotham is still growing, so hopefully Bruce Wayne is next on the list of things to fix. 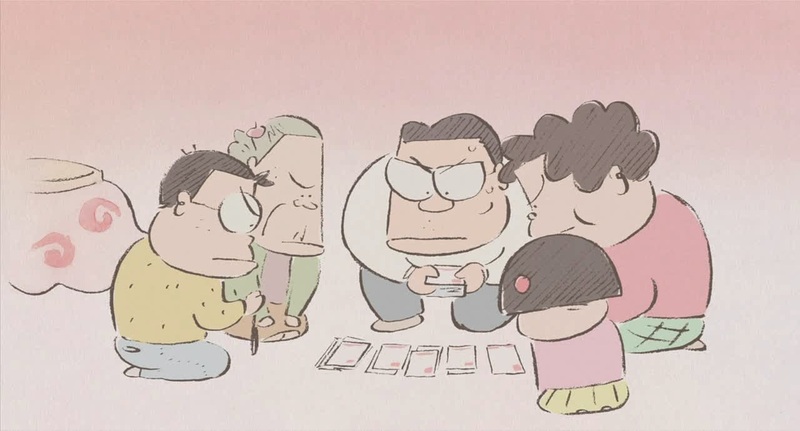 ‘My Neighbours the Yamadas’ follows the daily adventures of the Yamada family, who live in Japan. The film is a collection of short unconnected vignettes, each of these is based on separate themes or family members. ‘My Neighbours the Yamadas’ is based on a comedy Manga titled ‘Nono-Chan’. 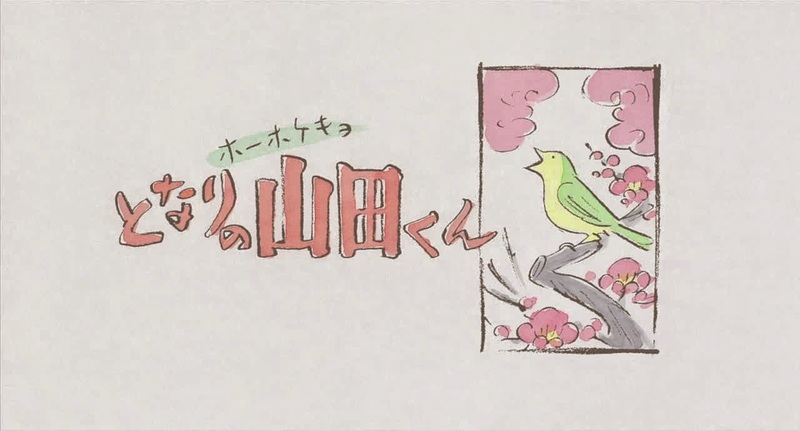 This film was the first entirely digital production from Studio Ghibli. ‘My Neighbours the Yamadas’ is a hard movie for me to review. I didn’t like a lot of things about the film but I struggle to find many tangible reasons for my dislike. ‘My Neighbours the Yamadas’ succeeds in everything it’s trying to do but I don’t really enjoy what it is. My first immediately issue with ‘My Neighbours the Yamadas’ is the animation style, I don’t like it. 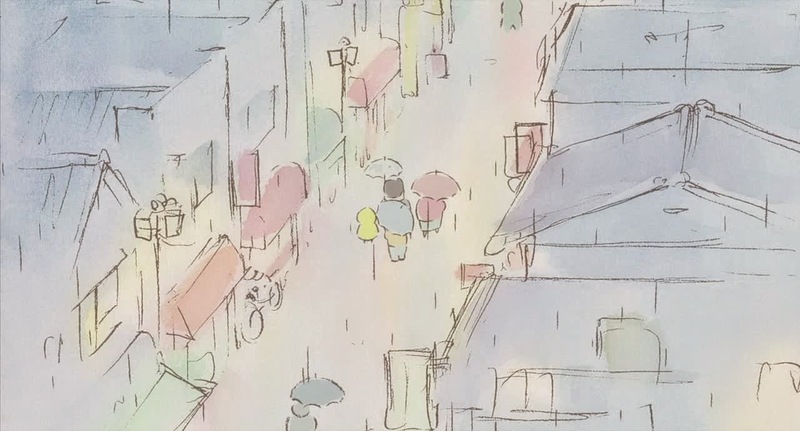 Now I didn’t completely hate the visuals of the film, it had some really nice sequences. The scenes that mixed 3D animation with 2D designs were really nice for example. I just didn’t enjoy the overall style very much; I thought it was a bit too minimal. My second somewhat personal criticism is that I didn’t find the movie very funny. ‘My Neighbours the Yamadas’ has actual jokes but very few of them worked for me. The jokes are very broad in nature and they feel intended for the largest audience possible. They are jokes that an entire family can laugh at together. Therefore we get jokes where family members accidentally dress up in each other’s clothes or accidentally eat each other’s food. It’s all very safe and unexciting, as if developed by somebody who has had comedy described to them and is giving it a go for the first time. Another issue with the comedy is that it is very culturally Japanese. A lot of the jokes are based around breaking cultural norms that those outside Japan don’t have. I found myself confused as Japanese social etiquettes were lampooned and I found myself unsure of where the intended joke was. As with the animation complaint, comedy is entirely subjective and I for those who like this kind of family comedy it is a good example, a harmless one at the very least. The comedy is this movie does bring forward my first more legitimate complaint however. The pacing in this film is atrocious. The timing on the jokes is mostly fine but many of them feature a pause afterwards, as if to allow the audience to laugh. Jokes are sometimes followed with as much as five seconds of dead air, where the characters don’t move and the film seems to wait for the audience to calm down. As you might imagine this becomes incredibly frustrating if you weren’t laughing at the joke. It feels as if ‘My Neighbours the Yamadas’ was made for a badly behaved cinema audience, one that is easily excitable and very loud. Although the majority of the jokes are paced fine, some jokes seem to go on for far too long. One sequence is about how eating ginger makes you forget things. 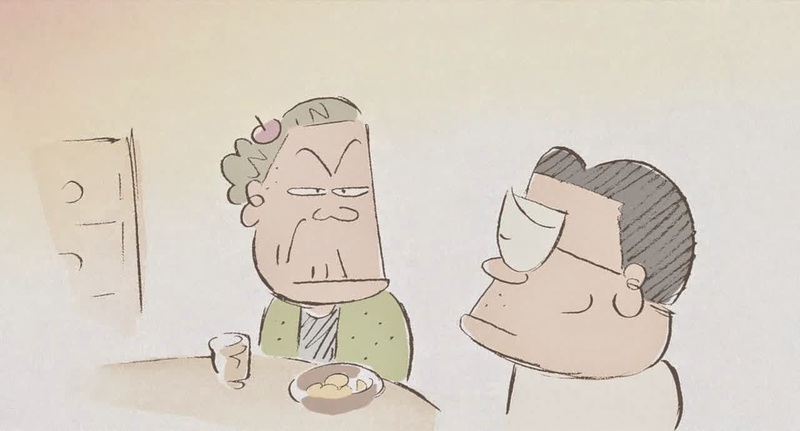 This scene goes on for seemingly hours as somebody forgets something and each time the animation pauses to let us laugh at each member of the family for that exact same reason. I can’t get over how bad the post comedy pauses are, it feels like Dora the Explorer is going to ask for your help to find the joke any second. The tone is also somewhat weird and inconsistent in ‘My Neighbours the Yamadas’. An effort has been made to inject real life drama amongst the comedy scenes. This has been done to create a more balanced view of life, a life with ups and downs. The issue is that these scenes seem to come entirely out of nowhere. 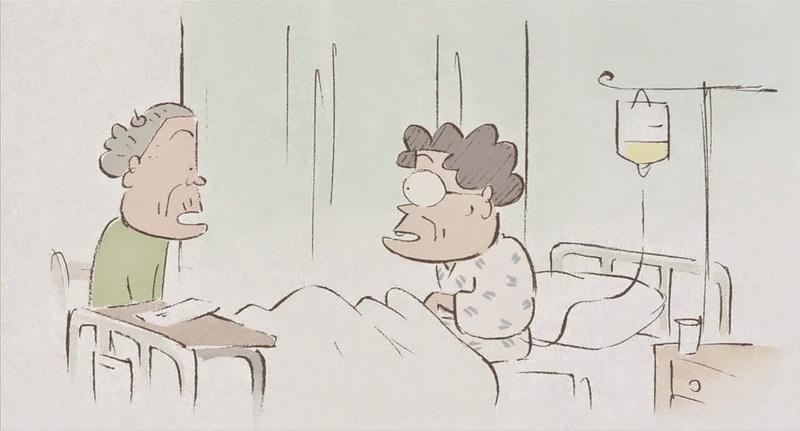 One sequence shows the grandmother, Shige, visiting her friend in hospital. The scene is played for comedic effect before the friend breaks down in tears and explains that she is dying. The real issue is that the tragic scenes are played out like comedic scenes, complete with a surprise depressing punchline. The dramatic scenes that work best in ‘My Neighbours the Yamadas’ are the ones that feel more organic. One quite nice scene revolves around the family tackling some loud bikers and the fallout this confrontation brings. This sequence functions well because it works comedy in when necessary but lets the drama dictate the dramatic pace of the scene. Mixing comedy with reality is always tricky. 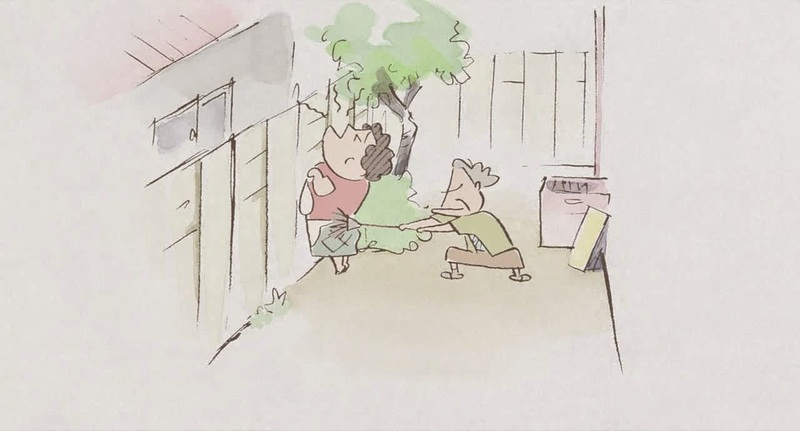 ‘My Neighbours the Yamadas’ also makes an attempt to add Simpsons-like domestic violence for comedic effect. The issue being that the Simpsons is constantly exaggerated so Bart being strangled has no dramatic weight. When ‘Yamadas’ does these same types of jokes they feel far more grounded and dark. This is primarily due to the constant tonal shifts in the rest of the film, how can something be exaggerated when no normal limits have been established? ‘My Neighbours the Yamadas’ wasn’t for me. I thought it was badly paced and tonally confused. I got up three times during the film to check how much longer it would run. I was sure each time that the relatively swift, in theory, one hour and forty minutes must be coming to a close. It’s not often you look at a progress bar and find yourself hoping for ten minutes of credits. That being said the family were instantly likable and remained so throughout. I can’t help but feel that the original Nono-Chan manga may be the best way to view these characters. Being in comic strip form would pretty much entirely remove the pacing issues of the film, allowing the audience to engage with the family at whatever pace they want. Similarly the dramatic scenes would not leap out from the page as awkwardly as they do from the screen. I don’t really know why Studio Ghibli chose to adapt it to be honest; it’s hard to see how it benefitted from the transition. 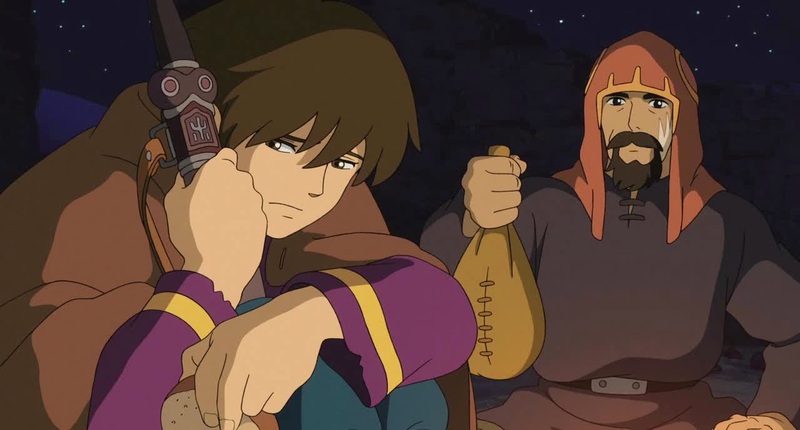 ‘Tales from Earthsea’ is the black sheep of the Studio Ghibli family. 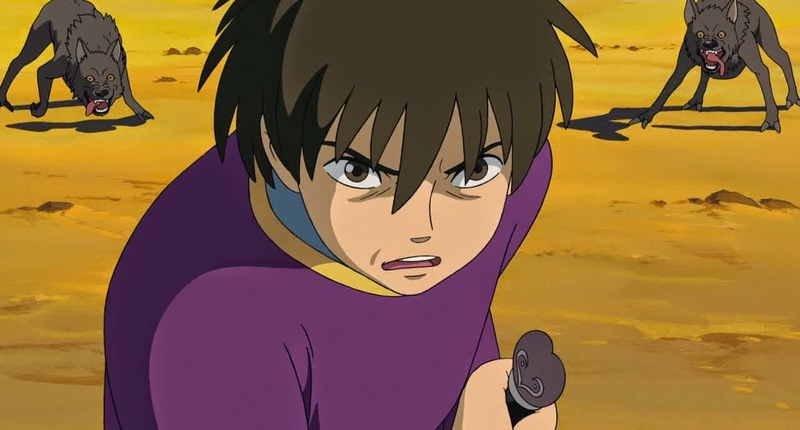 Currently holding a 41% on Rotten Tomatoes, ‘Earthsea’ is the worst rated film made by the studio. Is this rating fair? Or has ‘Tales from Earthsea’ been unfairly treated? It would be very hard to entirely defend ‘Tales from Earthsea’ as it has quite a few issues. That being said I don’t believe the film is entirely without merit either. The fundamental issue with ‘Tales from Earthsea’ is summed up in this English title. 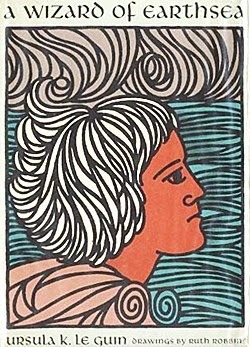 The ‘Earthsea’ series of stories spanned six books when this film was created. ‘Tales from Earthsea’ is an amalgamation based on stories from four of these books. 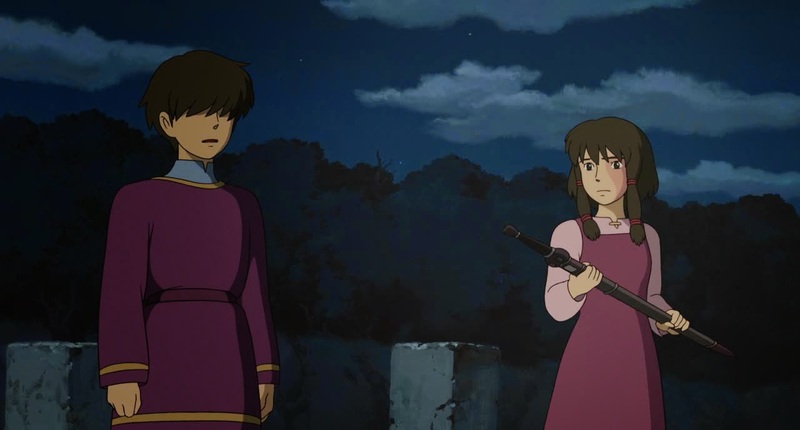 The decision to tell several ‘Tales’ in ‘Tales from Earthsea’ creates a whole host of problems with the film, problems that a single focussed narrative would have fixed. 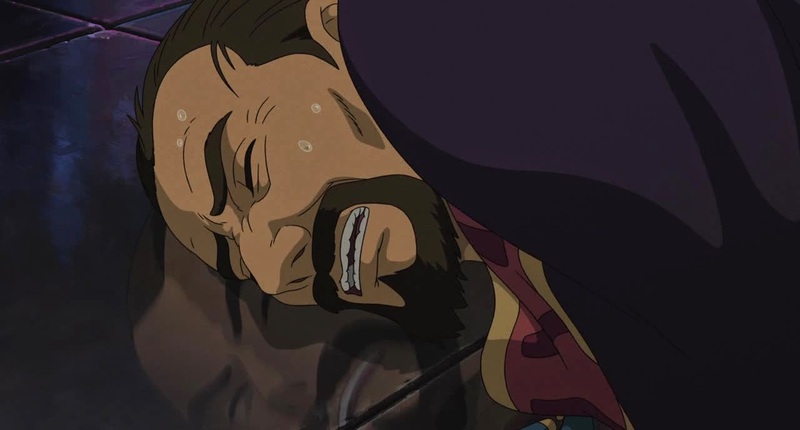 Who is the lead character in ‘Tales from Earthsea’? Now the smart money is with Arren, the runaway prince whom we follow throughout the film. Arren would be the sensible choice but he doesn’t really push the narrative forward at all. Sparrowhawk, conversely, is very proactive and seems to drive the majority of the narrative. Now Arren completes a character journey but he is not alone in doing that. Therru arguably changes far more throughout the film and is also far more relatable to the audience, is she the lead? Each of these characters could and in the books does, drive a narrative by themselves. Attempting to focus on three characters simultaneously causes the audience to focus on none of them. This wouldn’t be as much of an issue if the world of ‘Earthsea’ was more accessible. We as an audience needed to be told what was happening around us, we needed a likable protagonist to experience the world via and we didn’t get one. An attempt was made to make Arren this character but the likeable part of the equation was abandoned. Within the opening minutes Arren murders his kind father for seemingly no reason, before going on the run. For the first hour of the movie we get no explanation of why he did this or how it made him feel. For all we know he could have killed his dad because he enjoys killing, we don’t know! How are we meant to relate to a character that we don’t understand? Now as the movie goes on we discover that Arren doesn’t understand why he killed his father. How are we meant to relate to a character that can’t relate to himself? The first hour of this film is incredibly hard to defend at all. Nothing really happens to drive the story for the first half of ‘Tales from Earthsea’ and I don’t understand why. We get almost no character development and very little plot. We just spend an hour being vaguely shown a world by characters we don’t understand and in the case of Arren, don’t like. Killing his father aside, Arren is shown to be rude, aggressive and stupid. Why would we care about what happens to him? A lot of the issues in this film could have been fixed if it had used more time to explain the world and the characters. To waste an hour of you two hour film doing nothing is utterly confusing. This film has all the issues of a short running time and none of the advantages of the quite long running time it actually has. We get long segments of clunky exposition explaining the basics of the world followed by painfully long scenes where nothing happens. Key concepts of the film are never properly explained, such as the use of real names and the nature of the dragons. The conclusion of the film so heavily relies on these two ideas that they should probably have been explained more, or at all. 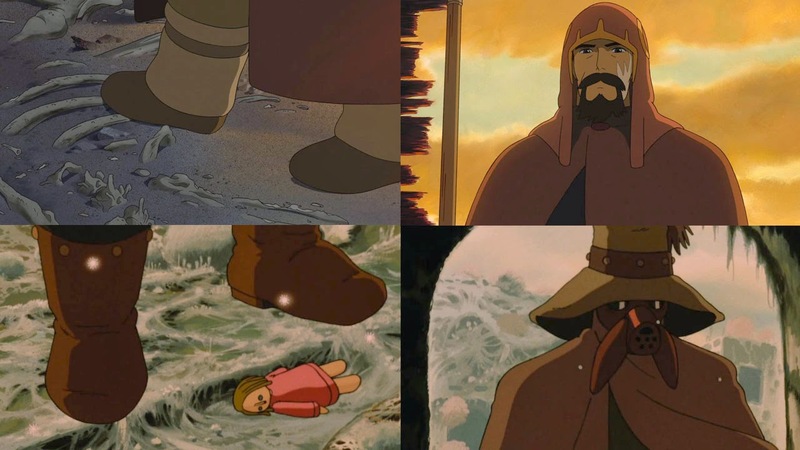 ‘Tales from Earthsea’ has a real issue with scale. The evil wizard Cob just happens to live within walking distance of Tenar’s farm? Her farm in the middle of nowhere just happens to be placed within walking distance of the giant Hort Town? This wouldn’t be as much of an issue if we didn’t see the characters keep easily moving between these locations. We are given constant reminders about how big the world is but we are only shown three important locations that happen to be next to each other. Once we lose the scale of the world we lose the scale of the characters. Sparrowhawk’s extensive journey around the world could have taken him a week for all we know. Arren’s distant kingdom might be an hour away. Now some of the criticism for this film is due to the suggestion that it has stolen or is reusing ideas from other Studio Ghibli films. 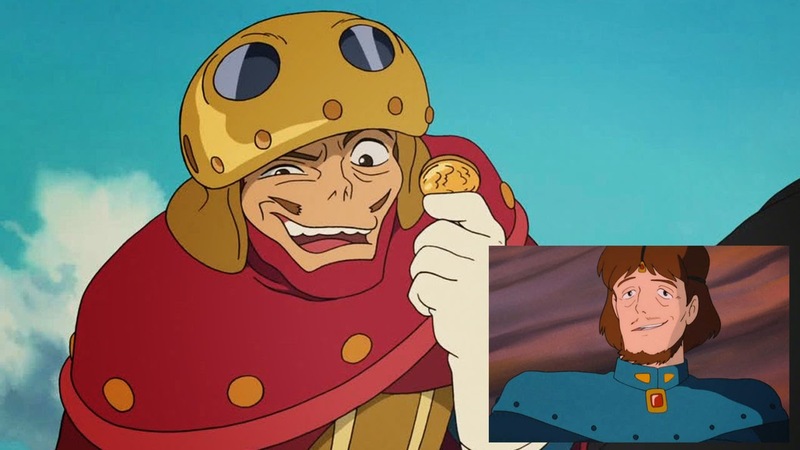 The two films it most obviously lifts from are ‘Nausicaa of the Valley of the Wind’ and ‘Laputa: Castle in the Sky’. Now giving ‘Tales from Earthsea’ the benefit of the doubt, I suspect that these resemblances may be somewhat explainable as more than simple theft. 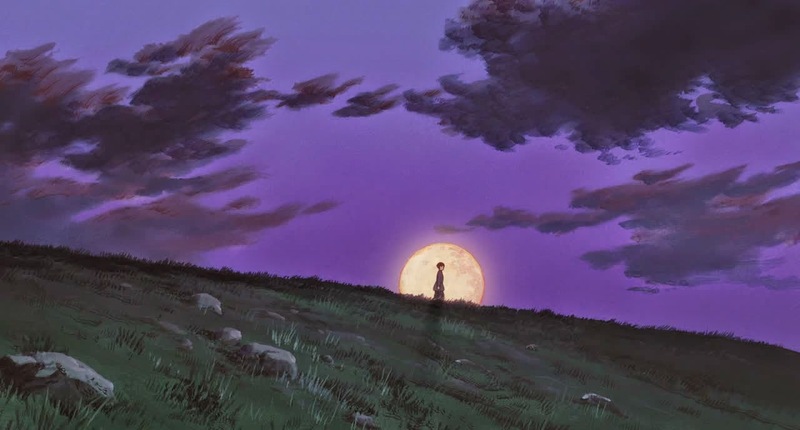 Hayao Miyazaki wanted to adapt the ‘Earthsea’ books for a very long time. When he couldn’t get the rights to the series, many of the themes and ideas he had developed fed into ‘Nausicaa’. I suspect to some extent some of the ideas also fed into ‘Laputa’, what with the two films being developed back to back. 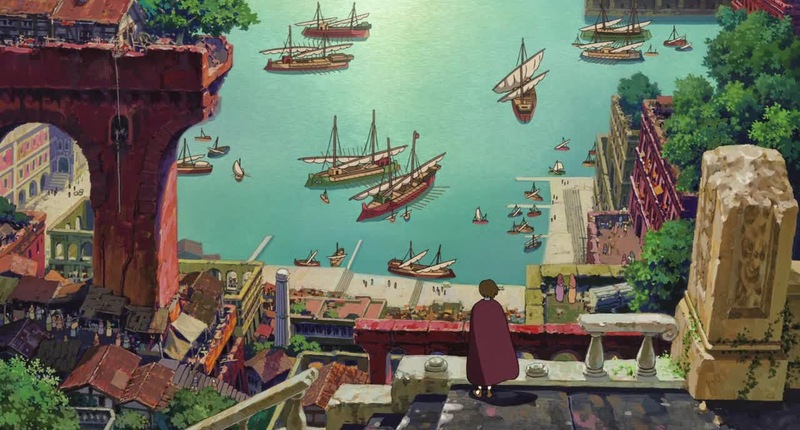 The real question is, are the ideas being reused the original ideas intended for Miyazaki’s ‘Earthsea’ film? 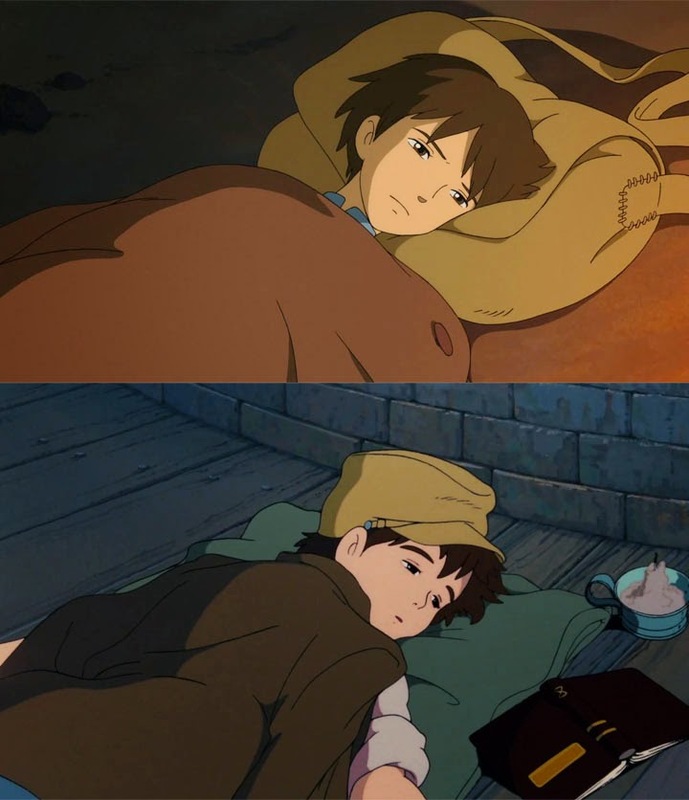 Did Goro Miyazaki and the rest of Studio Ghibli make a conscious effort to use these ideas again for that very reason? 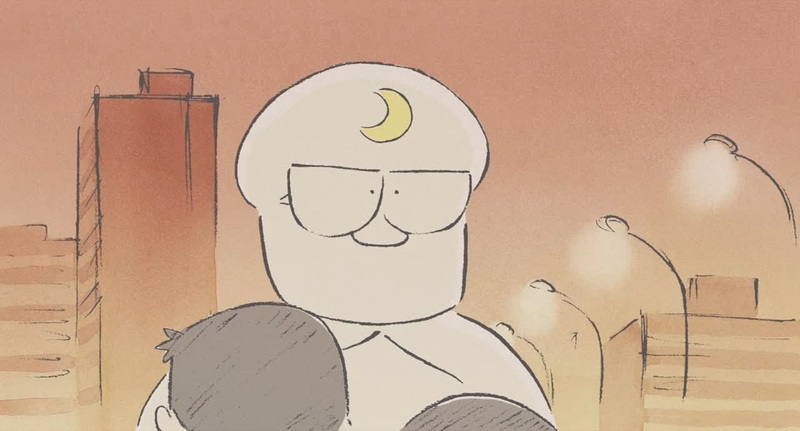 I suspect that any original notes of Miyazaki’s they could find were used as inspiration, so I wouldn’t be surprised if this was the case. Now assuming that this is what happened, why would they do this? Did they do it out of respect or out of some kind of desperate hope of reflected glory? Hiring Miyazaki’s son to direct would suggest the latter. For whatever reason this ‘referencing’ is still a bizarre creative decision. Even if these ideas were originally intended for another film, they’ve still been used elsewhere. It’s also a bizarre decision since a lot of effort has been made by Goro to inject his own personality into the film, why focus on his dad’s personality so much also? Another criticism that people tend to throw at this movie is that the creator of the ‘Earthsea’ books, Ursula Le Guin, hates it. Now I have very little pity towards Le Guin on this. She had Hayao Miyazaki attempt to gain the rights to adapt her books back in his prime. Le Guin turned Miyazaki down without even watching his work and he went on to do other stuff. She eventually bothered to watch one of his films twenty years later and changed her mind, giving him permission. She then discovered that Hayao Miyazaki wanted to retire and agreed to let his son, Goro Miyazaki, direct it instead. 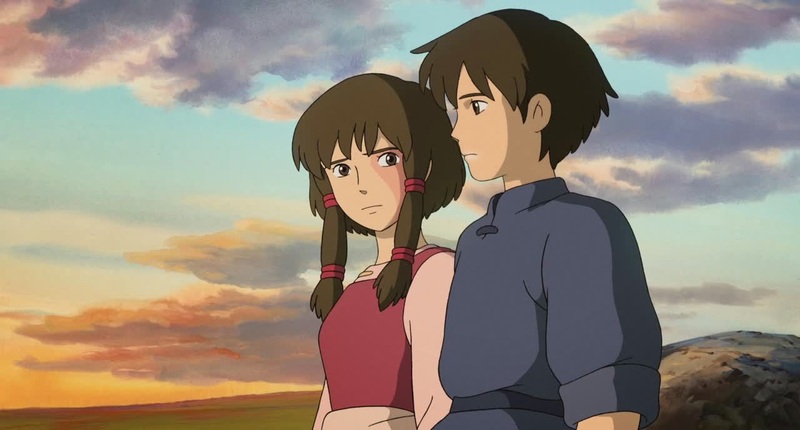 Le Guin’s main complaint is that ‘Tales from Earthsea’ wasn’t a brilliant Hayao Miyazaki film… Maybe she should have thought about that twenty years earlier when she was turning him down, sight unseen. Maybe, heaven forbid, she should have considered that Goro Miyazaki might make a different film, what with him being a different person and all. I appreciate that she feels her work and her fans were disrespected but she was the one who agreed to it. Now I’ve been pretty negative towards ‘Tales from Earthsea’ so far. That’s primarily because it isn’t that great a movie on the whole. That being said I do like quite a few things about it. The first half of the film is absolutely terrible but the second half is actually pretty decent. At approximately the halfway point ‘Tales from Earthsea’ remembers that it has characters and bothers to introduce them to the audience. Therru is particular is extensively fleshed out and becomes a very likable character. The main villain Cob is very effective, both in writing and design. Even Arren’s horrible personality is salvaged to a certain extent in this second half. Arren’s battle, both in mind and body against Cob is nicely handled. In particular I really like the rising fear in Cob. 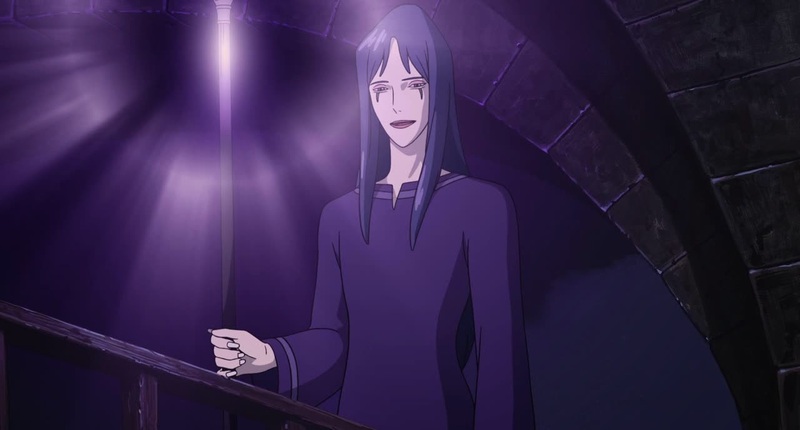 Cob’s dream of immortality and the realisation of his impending death are really nicely handled, making him one of the stronger Ghibli villains. 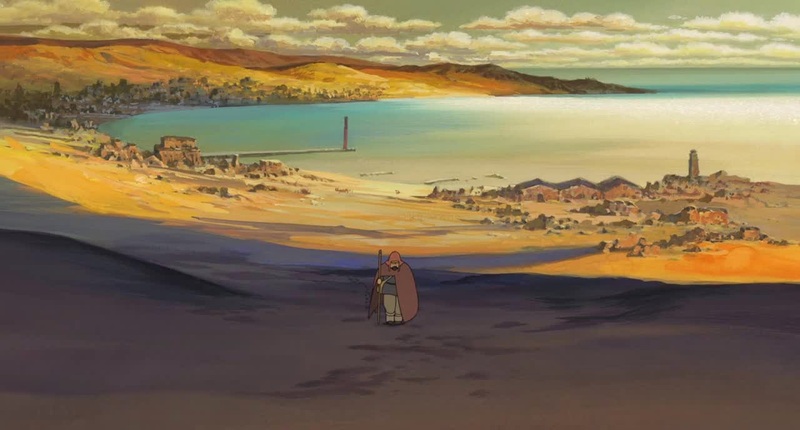 Visually speaking ‘Tales from Earthsea’ is one of the most attractive of the Studio Ghibli films. Where Hayao focussed on light colours and overall composition, Goro focusses on blacks and browns and fine details. Goro seems to have a natural understanding of colour and how to use it, creating high contrast, highly dynamic images in the process. Surfaces have incredibly realistic reflections, lights have real warmth. 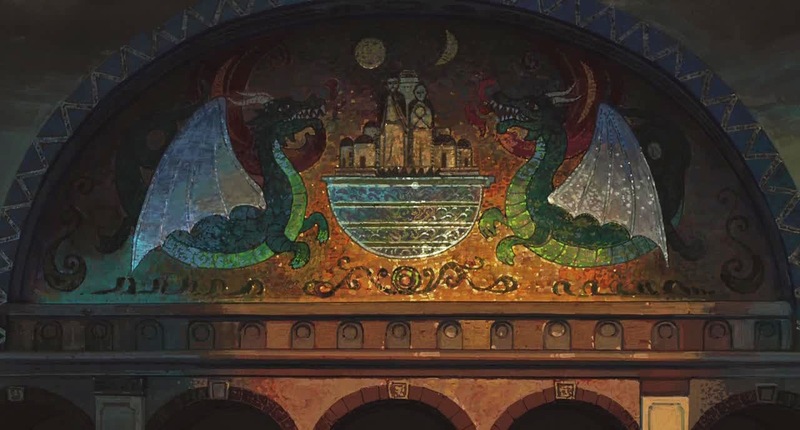 The design work that moves away from the Ghibli house style is also very strong in ‘Tales from Earthsea’. 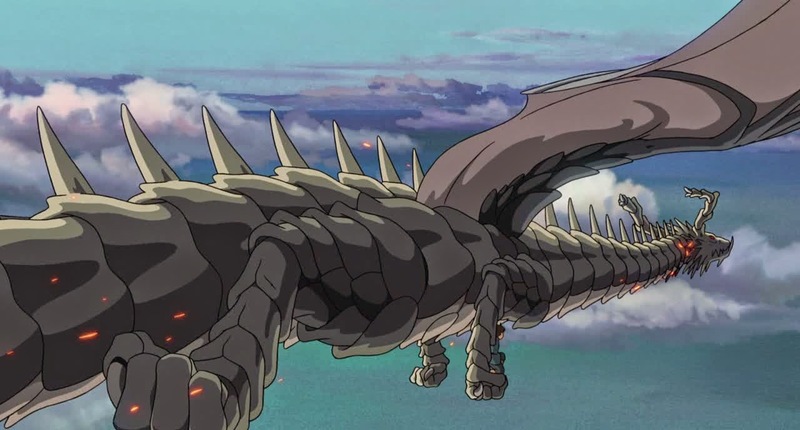 The dragons, in particular, are very distinct and show Goro’s aesthetic sensibilities perfectly. The sound design and music are also very strong. The sound design manages what the script doesn’t and sells the world. The way the wind can be heard to wrap around the objects is incredible. The scraping echoes and whispering winds help sell a sense of three-dimensional depth to the world that few films manage to do. The music is also extremely good and adds a further sense of a larger world, one with different cultures and instruments. So ‘Tales from Earthsea’ has more than its fair share of issues. That being said I find it very hard to truly dislike it. ‘Tales from Earthsea’ suffers from the creative decisions of a first time director but it also shows the promise of a man with a distinct vision for his animations. Goro Miyazaki shows with this film that he has an understanding, albeit undeveloped, of the darkness in humanity, one that Hayao shied away from. 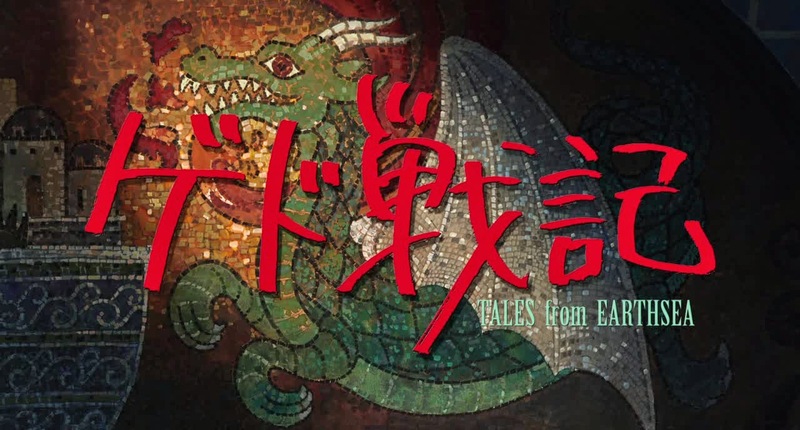 Hopefully Goro will have the chance to develop his voice further as ‘Tales from Earthsea’ shows glimpses of genius, even if they are almost entirely limited to the second half of the film. A dangerous new drug has hit the streets of Gotham. A man with a mangled ear is handing out this new drug, Viper, to the unfortunates living in the slums of Gotham. When inhaled, Viper gives those who take it super strength but kills them within a few hours. Who is manufacturing Viper and why is it being given away for free? It’s up to Gordon and Bullock to figure out these mysteries and stop the ever increasing death toll. So yeah, I’d give a spoiler warning but the big twist of this episode is obvious from about thirty seconds in. A junkie is given a vial of green liquid that immediately gives him super strength. When the episode eventually reveals that Viper is an early form of Bane’s Venom it seems somewhat anti-climactic. One of the frequent issues with Gotham is the intended audience, or audiences, it wants to reach. Gotham has a bizarre split between trying to be a crime procedural, such as the wire and trying to be a superhero show like Smallville. This episode in particular really suffers from attempting to reach these two completely different audiences. As I’ve said previously 'Gotham' is at its best when it is dealing with morally grey themes, when it is being subtle. Subtlety and super strength do not play well together. For example, one scene of this episode features Maroni threatening Gordon. The Penguin has been beaten by Maroni in order to gain the truth about his past. Gordon is kidnapped to corroborate this story. This sequence is tense as Gordon is made aware that if his story and the Penguin’s do not match, they will both die. Gordon has no idea what Penguin has said so he is forced to tell the absolute truth, the truth that may still get him killed if it differs from the ‘truth’ that the penguin has given Maroni earlier. To say 'Gotham' has a problem with inconsistent tone would be somewhat of an understatement. I’m not saying that Batman has to be gritty to be successful. The success of Batman in a variety of tonally different productions has shown that the universe is very adaptable. That being said the 1960’s Batman television show never had a scene where a screaming man was burned alive. The abrupt tonal shifts are only one of the problems in this episode. The script in general seems to barely hold together. 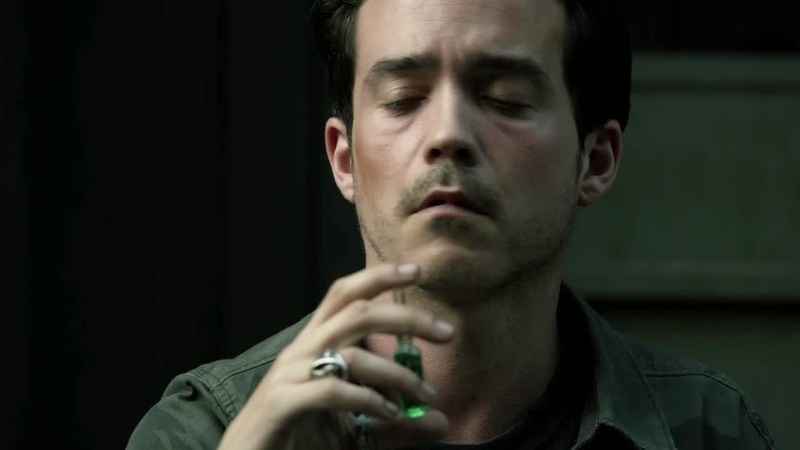 If a stranger handed you a green vial that simply said “Breath Me” on the side, what would you do? 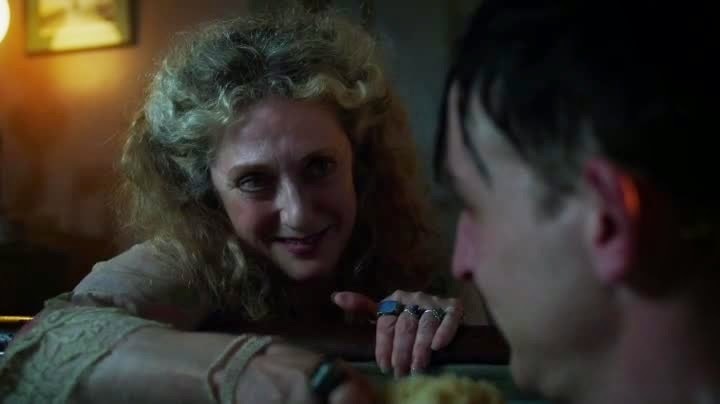 Gotham attempts to explain that the people who chose to take it are desperate junkies but this justification doesn’t really work for me. The people taking it have no idea of what it might be; they don’t even know that it’s a drug. The bottle could be filled with toilet cleaner for all they know and yet they immediately use it? I appreciate that an effort has been made to show the desperate nature of the downtrodden in Gotham but this still seems pretty unbelievable. The reasoning behind why the villain is handing out the drug is also really badly explained. He is trying to stop a drugs company doing something unethical by killing innocent people. Suggesting a character is insane does not automatically justify them doing stupid things. Part of what makes insanity a threatening concept is the alternate skewed versions of reality it creates in the subject. Irrational behaviour is completely rational to the person doing it. As a writer it is your job to present the motivation, however strange, of your characters. Or you can do what they actually did in the episode and just have Jim Gordon loudly point out that the motivation of the villain doesn’t make sense and hope that the audience will just accept it. 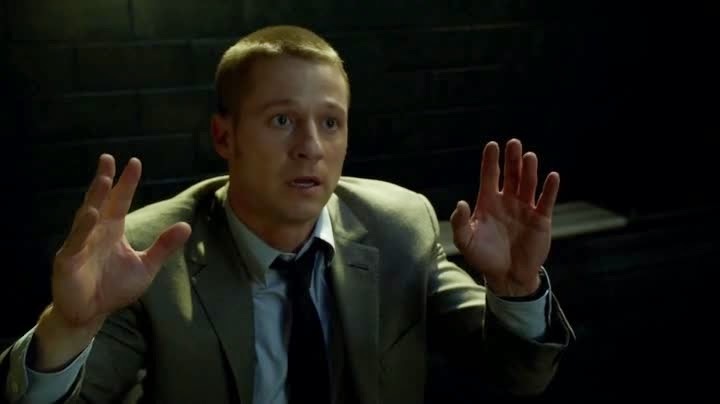 Jim Gordon has accepted that the world doesn’t make sense so who are you to argue? This over-reliance on universal chaos and insanity is becoming a worrying element of modern writing. Many writers try and inject reality into their work by adding an element of random spontaneity to it. Very little of what happens in the world is truly unexplainable however; most things happen due to some level of logical progression, even if that logical progression is hard to fathom. Most writers simply use chaos to fill plots holes. They take the attitude that the real world isn’t a well edited narrative so a realistic depiction of the world shouldn’t feature traditional narrative elements. The primary issue with this is that the human mind is preconditioned to find narrative in the world around us. We take events that happen around us and form them into a logical sequence to allow us to understand them. Good and Bad luck are entirely attributed to this view of the world, with good and bad events bound to eventually follow unconnected triggers. We as an audience expect things to make sense, for them to be explained. We don’t have to like what happened or how it happened but we do need to understand why it happened. This explanation doesn’t have to be direct and in depth; Karma can be enough of a driving force to create a narrative! All you have to do to give a villain basic motivation is make them evil, that’s fine. Once you start suggesting that somebody is insane you open yourself up to a lot of questions that need to be answered. If you don’t answer these questions your writing immediately loses any sense of reality you attempted to add. So, rant over, what is good about this episode? 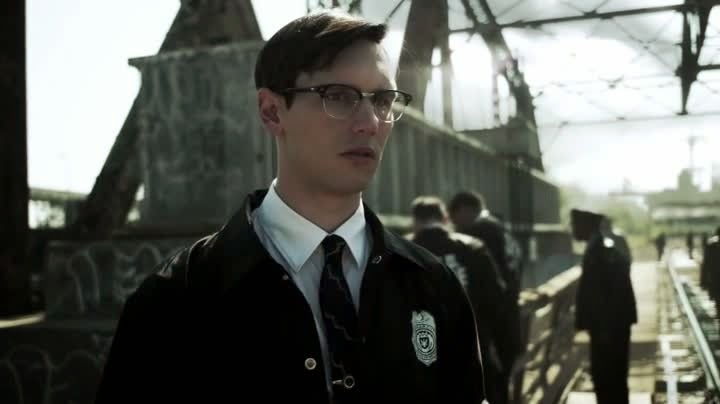 Surprisingly even with the above complaints Gotham remains an enjoyable show. The cast remain fantastic and it’s nice to see an ensemble show with no obvious weak links performance wise. Sean Pertwee is becoming one of Gotham’s best characters in the form of Alfred. It’s nice to see Alfred realise that he has to enter Bruce’s world in order to watch over him. For all the issues that Gotham has in terms of tone it manages mood brilliantly. The universe of Gotham is feeling increasingly dark and unstable as the series progresses. Don’t let the huge negative to positive ratio let you think I didn’t enjoy this episode. 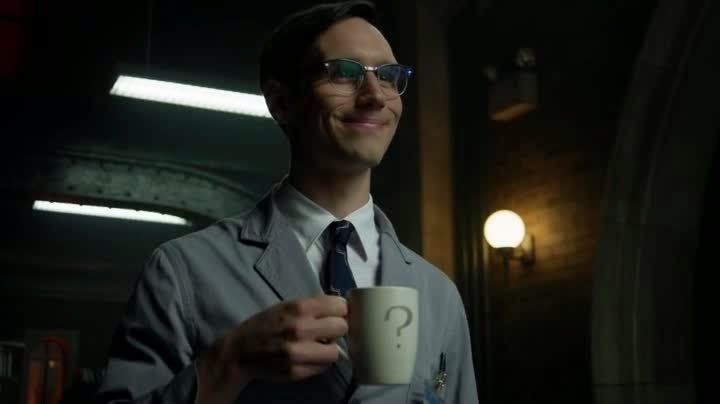 The reason I rant about the flaws in Gotham is because it has the potential to be a truly great show and keeps making stupid mistakes that hold it back. 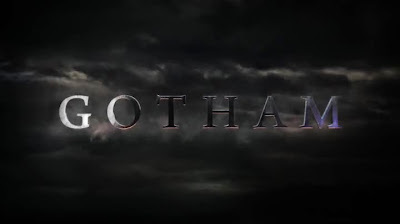 Hopefully future episodes will be more consistent but even ‘bad’ Gotham is still pretty good. Steven Moffat has a problem with answering questions raised in his scripts. This issue is never clearer than when he is resolving a cliffhanger. ‘Dark Water’ gave us a three pronged cliffhanger. We had Clara being menaced by a Cyberman, the Doctor being threatened by the Master and Danny potentially deleting his emotions; becoming a Cyberman in the process. All three of these cliffhangers are not well resolved. 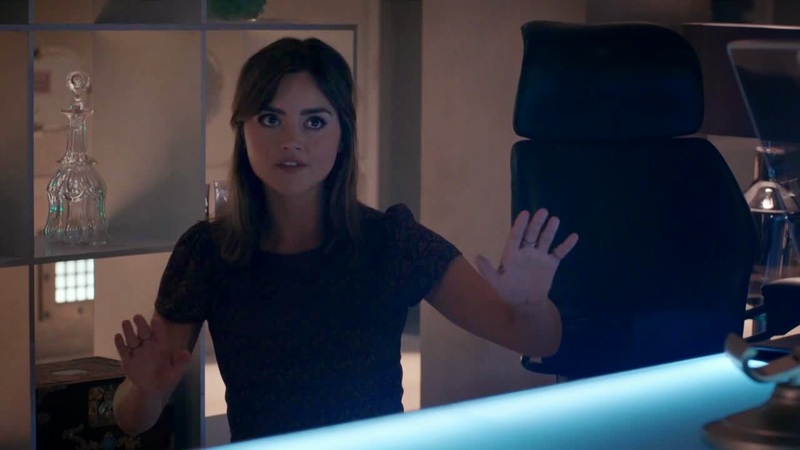 Clara defends herself from the Cyberman by pretending to be the Doctor, that’s it. She doesn’t have the Sonic Screwdriver or some other way of convincing them, only her word. If you can trick an enemy so easily, how is it threatening? You can either depict the Cybermen as cybernetic zombies or depict them as evangelical bureaucrats. Each of these approaches can create a credible villain but you can’t mix them. Zombies that you can reason with and talk to aren’t scary. 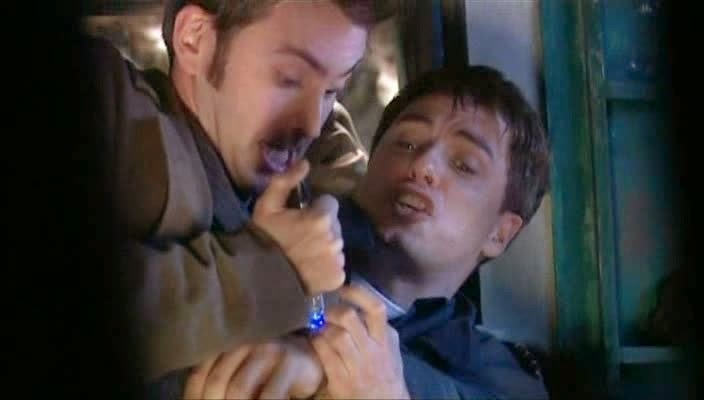 The Doctor being held by the Master is also immediately resolved by the appearance of UNIT to save him. They have been closely monitoring the situation and immediately remove even more of the Cybermen’s credibility by explaining how easily they can kill Cybermen. Danny Pink’s cliffhanger resolution is the most annoying. Last week we had the genuinely tragic idea of Danny choosing to remove his emotions and inadvertently becoming a Cyberman. When we rejoin Danny he is no longer making this decision, it has been taken away from him. We discover that his decision was completely meaningless as the Cyberman choice is now mandatory. For some reason the little kid he shot is also hanging around with him, despite having run away last week. To resolve a cliffhanger by changing the rules of it is cheap. A cliffhanger shouldn’t be viewed as some magic story element that follows different writing rules. A good cliffhanger is only good if it could work as part of an ongoing script. If the two separate parts of cliffhanger/ resolution can be seamlessly edited together; the cliff-hanger will be strong. A good cliffhanger should be like any mystery; the resolution should be obvious but hard to predict. For example in ‘Utopia’ the Doctor has his Tardis stolen and is stranded at the end of time with Martha and Captain Jack. 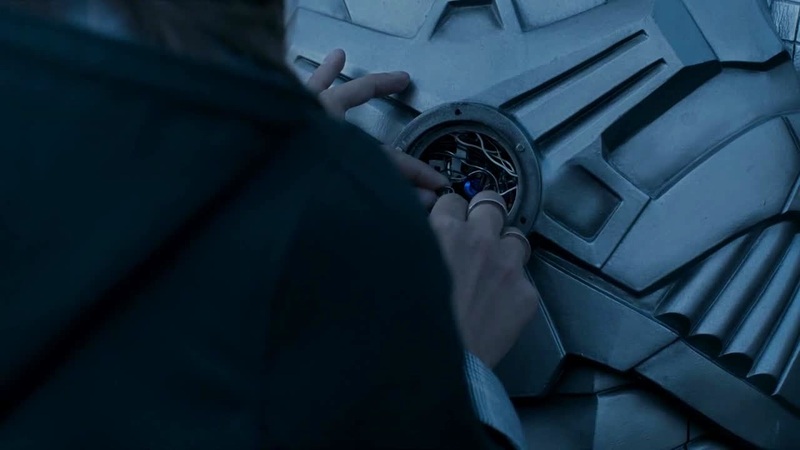 In the opening of ‘The Sound of Drums’ the Doctor repairs Jack’s broken time watch and warps them to safety. Why this resolution works is that Jack made a throwaway comment to his time watch being broken in ‘Utopia’. The Doctor repairing it is the most obvious way to solve the problem. Even looking at previous Steven Moffat cliffhangers he can do better. In ‘The Empty Child’ we are told that the gas-masked Empty Children originated from a small boy. When the Doctor screams at them to “Go to your room!” in ‘The Doctor Dances’ it makes sense, it works. Since that point Moffat’s Cliffhangers have become increasingly based on spectacle over any type of sense. A cliffhanger, however impressive, is nothing without a decent resolution. This is particularly true in the age of Netflix and IPlayer, when a cliffhanger can be resolved within seconds. Aiming your entire show around the immediate reaction it will get on Twitter and Tumblr is not the way to make rewatchable quality drama. 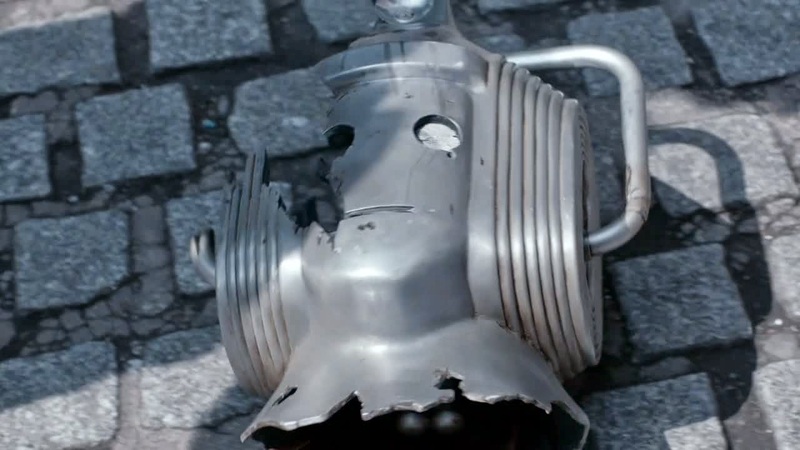 So with UNIT threatening the Cybermen, one of the Cybermen takes off and explodes. It does this to release Cyberman “pollen”. As the Master puts it to Kate Stewart “Cybermen don’t just blow themselves up for no reason dear. They’re not human” Now whether you understand their justifications or not, people blow themselves up for reasons. Suicide bombers have motivation driving them. “I’m sorry, in the event of an alien incursion on this scale, protocols are in place. Your cooperation is to be ensured and your unreliability assumed…You have a history.” So the key word to take away from this quote is “Unreliability” More on that in a bit. 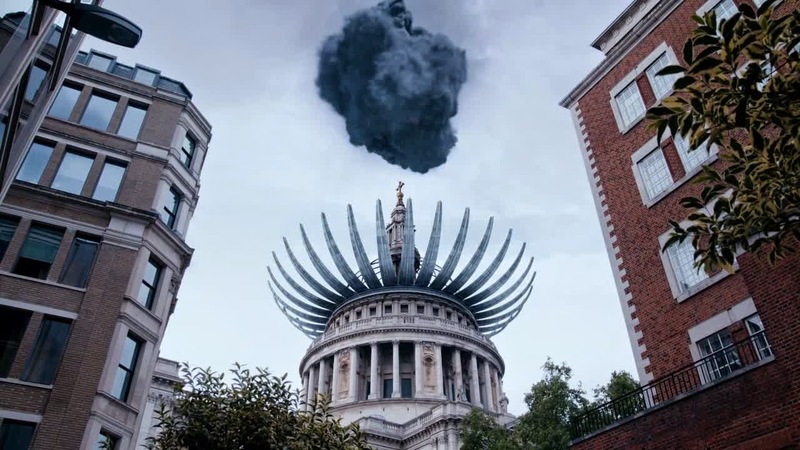 The Doctor wants Clara brought to him from St Pauls. Kate explains “The team’s still on site but they’ve been unable to gain access to the building.” Now the Doctor raises the quite pertinent question “You got the Tardis out though?” to which she answers “yes”. So can her team gain access or can’t they? If they’ve been unable to gain access how did they get the Tardis out? Seriously, this doesn’t make sense. I appreciate that it may seem a minor point but it really doesn’t make any sense. 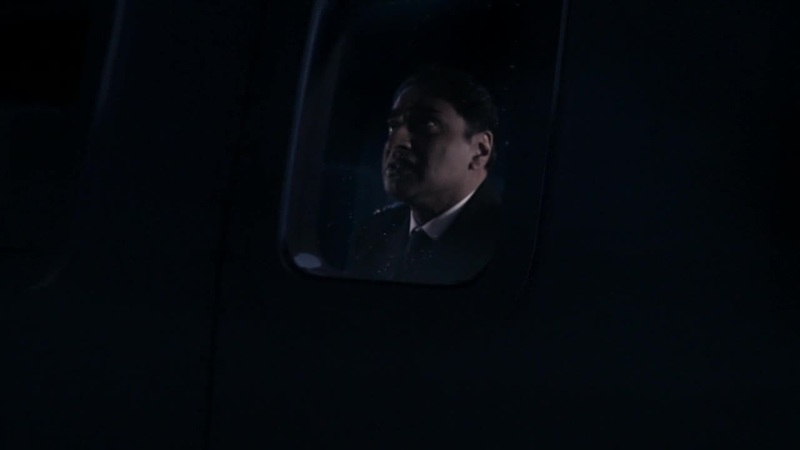 It feels like Moffat realised that the Tardis needed to be on the plane so he added that the team had got it out, hoping nobody would ask how…but then decided the Doctor should ask, what with him being smart and all. Quick tip Moffat, if something doesn’t make sense don’t have your characters keep pointing it out. It would be like if I kept making spelling mistakes and put the corrected words afterwards (like this*) It wouldn’t be good writing and self-referential failure is still failure. “The incursion protocols have been agreed internationally. In the event of full scale invasion, an Earth President is inducted immediately with complete authority over every nation state. There was only one practical candidate.” Now I’m just going to ignore the latent idiocy of the Earth President thing for the most part and instead focus on the stupidity of the Doctor being selected for that role. I like that the “one practical candidate” is the same man whose “unreliability” needed to be cancelled out using handcuffs and tranquillisers. So what if the Doctor wasn’t on earth when it was invaded? Who was second on the list to be Earth President? Was there a second choice? Having only “one practical candidate” suggest there wasn’t. Also why did every nation in the United Nations select the Doctor to be their champion? The Doctor spends the vast majority of his time in the South East of England, how does the rest of the world know about him? If Kate Stewart was able to convince the entire world that he would be a good vote for Earth leader she should give up her UNIT career for a job in lobbying. Before the Doctor discovers he was selected he says “That’s your answer for everything isn’t it, vote for an idiot.” So the Doctor hates democracy and more importantly Moffat just completely ignored me. DUDE I literally, LITERALLY, just told you not to have your characters point out your plot holes. It’s pretty rude to ignore me like this man. 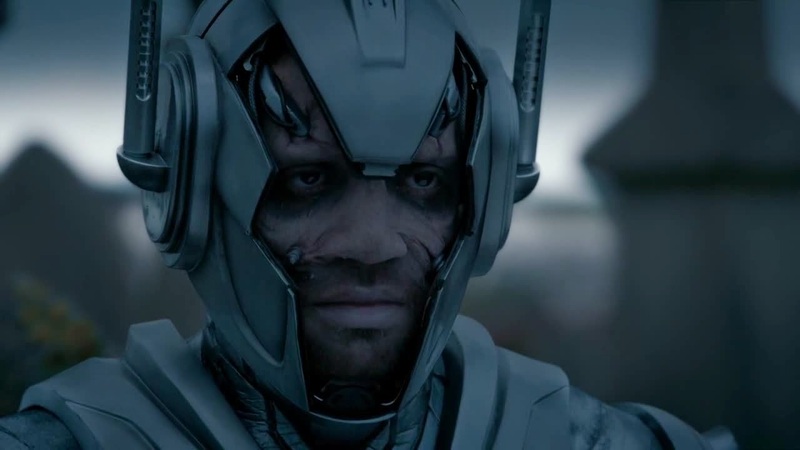 So Danny Pink has been resurrected as a Cyberman and he saves Clara. 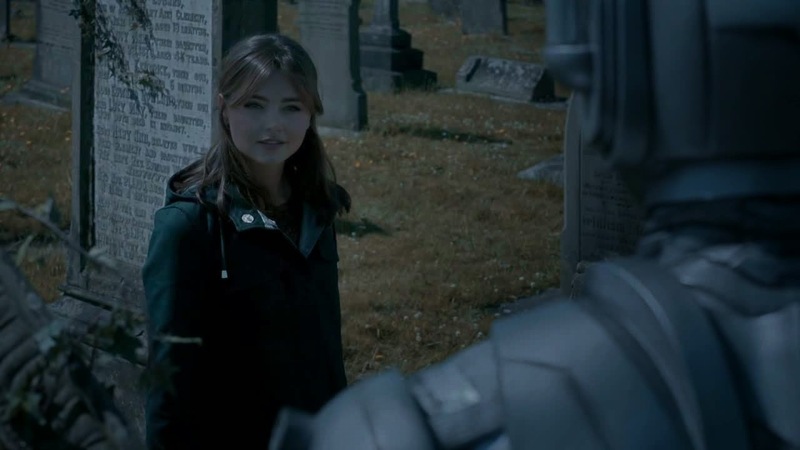 He saves Clara from the other Cybermen and takes her to the safest place he can, a graveyard full of Cybermen. Why does he do this? I’ve been racking my brain on this and I can’t work it out. Possibly his Cyber programming made him do it or maybe he just thought it would be more dramatic? I don’t know why he did this and apparently it doesn’t matter. It’s a graveyard and people loved that graveyard based finale with Amy and Rory, so a graveyard finale is what we get. 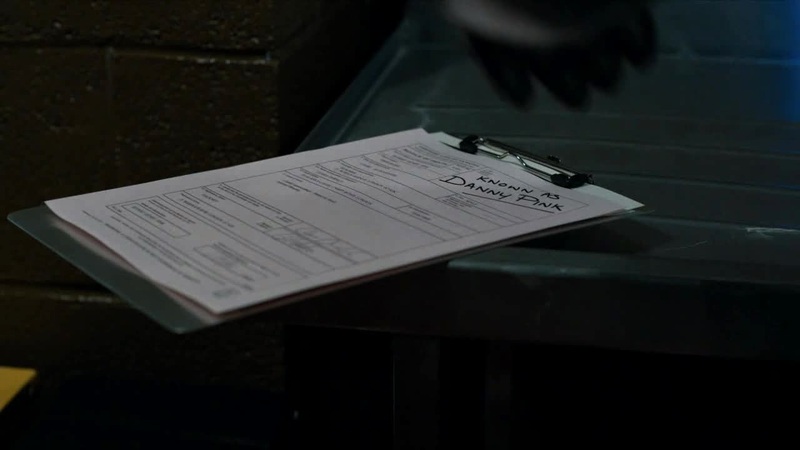 I like that the undertaker where Danny was resurrected has written “Known as Danny Pink” with a giant marker pen on his official papers. Does he do this on his notes for every corpse? 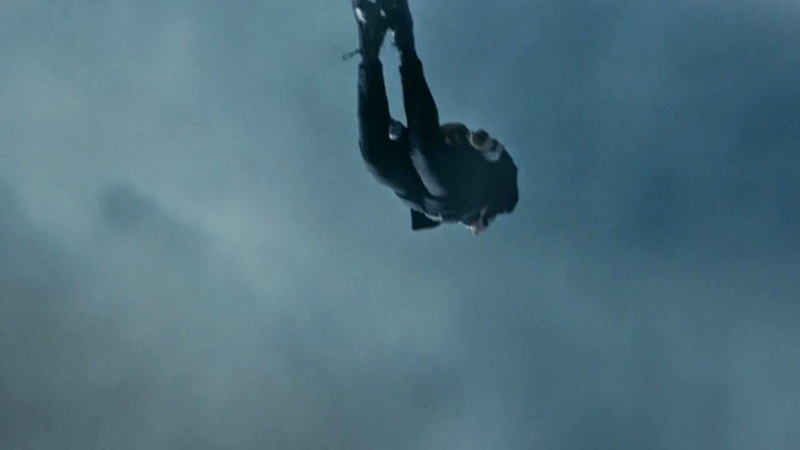 Missy escapes from her extensive guard of two soldiers and kills fan favourite Osgood. As Osgood puts it “I promise to you, I’m much more useful to you alive” to which the Master retorts “Ah yes that’s true, that’s definitely true. That is a good point well made. I’m proud of you sister but did I mention BANANAS!”…Now Moffat, serious talk now. Three times….THREE TIMES IN ONE SCRIPT!! If you know it doesn’t make sense, rewrite it! Are you writing these on a typewriter?! If you are, get some corrector-fluid like Tipp-Ex, so you can do some editing. Or if you can make the time, write more than one draft ffs. A Cybermen attacks the plane and Colonel Ahmed seems confused “What can one Cyberman do to a plane?” So for some reason in our world where a regular rocket powered missile can bring down a plane, a rocket powered Cyberman is no concern? In a world where an unexpected flock of birds can bring down a plane a, laser cannon wielding, rocket powered Cyberman is nothing to worry about? 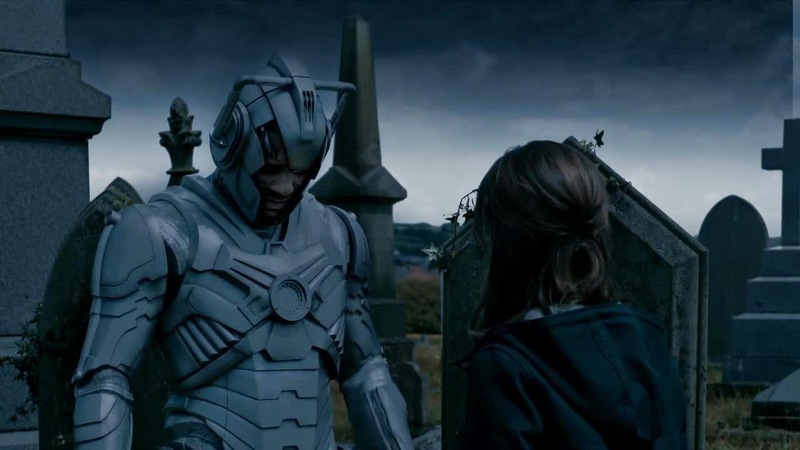 Clara wakes up and confronts the Cyberman, Danny, who brought her to the graveyard. 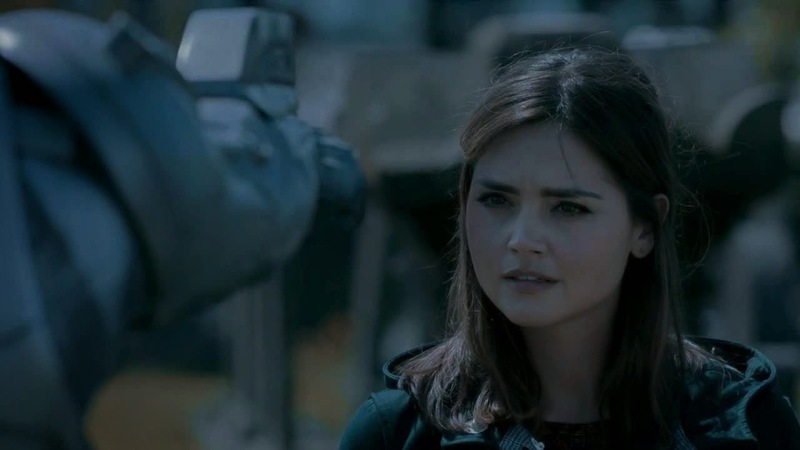 Clara, unaware that she is talking to Danny, gets angry and gives a speech about her friendship with the Doctor. “He is the closest person to me in this whole world, he is the man I will always forgive, always trust. The one man I would never ever lie to!” So this is another Moffat piece of dialog that doesn’t work. “He is the closest person to me in this whole world” So the man you travel the universe with is the closest man to you in this one planet? “The one man I would never lie to” Well she would lie to him if she wanted to threaten his life at a volcano but I guess that doesn’t count? Even the parts about forgiveness and trust seem a bit insincere after the anger caused by the whole Moon abortion incident. Now Danny reveals himself and he is understandably upset. 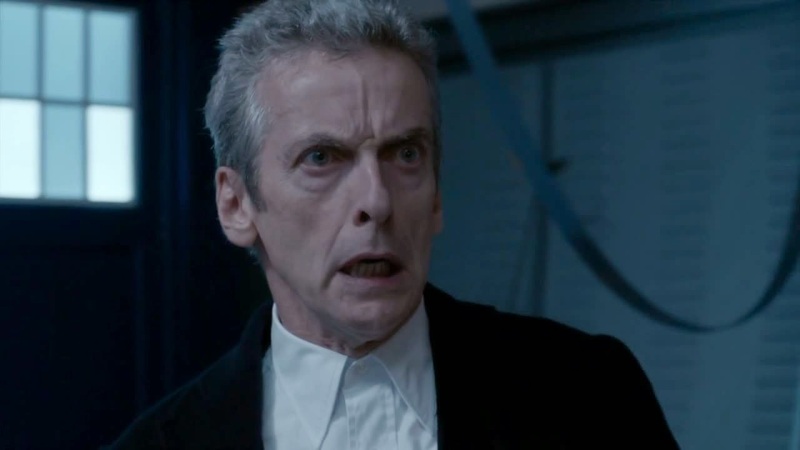 He is upset that Clara basically just said that she likes the Doctor more than she ever liked him. Or more accurately this is what this scene should be about. Clara’s inadvertent insults towards Danny are completely forgotten about within seconds. She even forgets that he was almost willing to shoot her for saying it. This is forgotten quickly for a very good upcoming reason. Cyberman Danny asks Clara to help him deactivate his emotional inhibitor, because he can’t deal with how bad he is feeling. 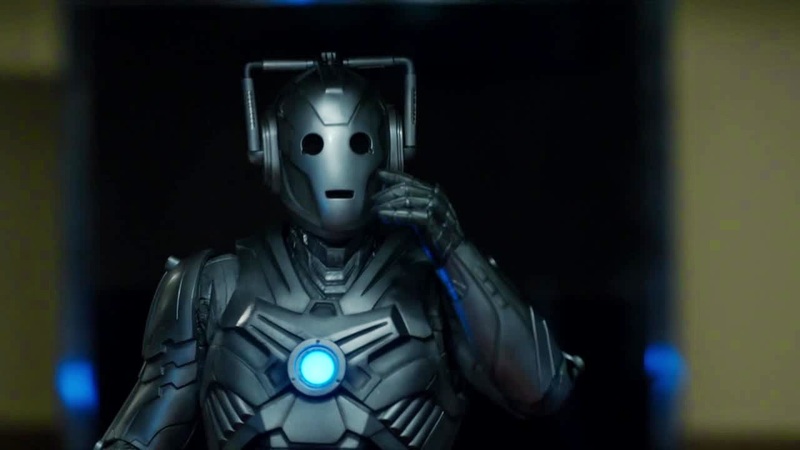 Why create a Cyberman with emotions to inhibit? It seems a design flaw. “Help me, I need you to do something for me, I can’t do it myself” Danny asks while looking down at his chest and/or crotch. Back on the plane the completely harmless Cyberman has been joined by his more rowdy Cyberman friends. 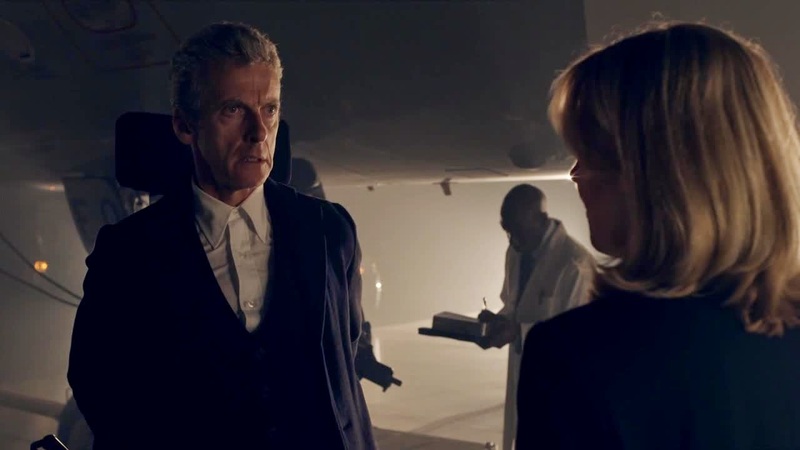 While the plane is being destroyed the Doctor confronts the Master in the cargo hold. 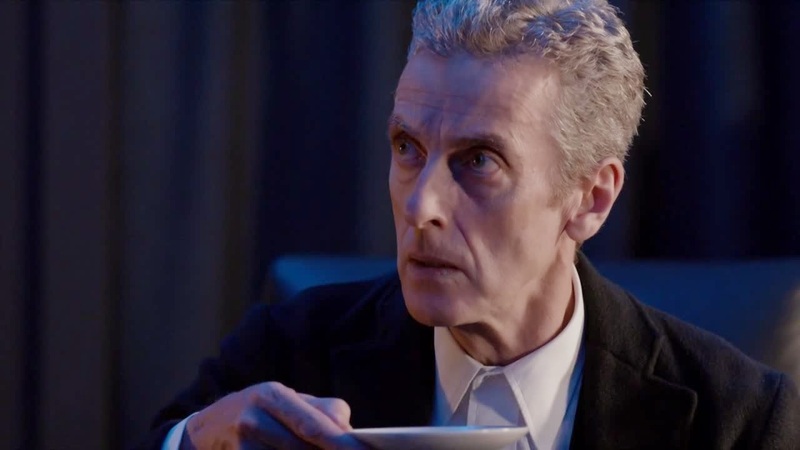 The Doctor is shocked to learn that the Master was the one who organised for him and Clara to be together. 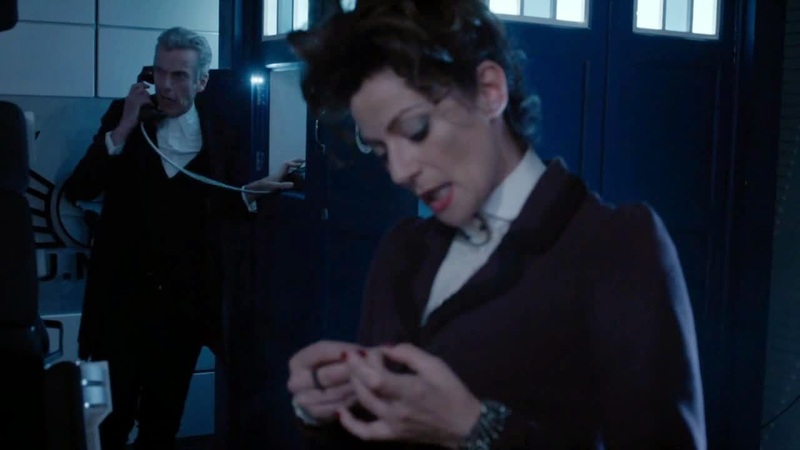 The Master is not only revealed to be the “woman in the shop” who put Clara in touch with the Doctor but she is also revealed as the driving force that has kept them together ever since. “This is perfect!, The control freak and the man who should never be controlled”…You’d go to hell if she asked and she would….” Yeah that’s right, the above 24 words are the only explanation Missy gives for forcing Clara and the Doctor together. Missy was relying on Clara having a boyfriend who would die young so that Clara would persuade the Doctor to go to the afterlife to rescue him, thus finding Missy. Given that Missy knows the Doctor’s phone number, couldn’t she have just called him up and invited him to St Pauls? This might have been a better option, probably about 100% more likely to work also. "Ring, Ring, Ring, Ring, Ring, Ring Ring. Bananas Phone!" If Moffat has caught this speech while skim reading for nonsense we’d have got a pity “Bananas!” thrown in to explain this plan. That being said the Master/Missy is written to be insane, not dumb. This plan is so stupid it could have failed due to the sheer stupidity of it. 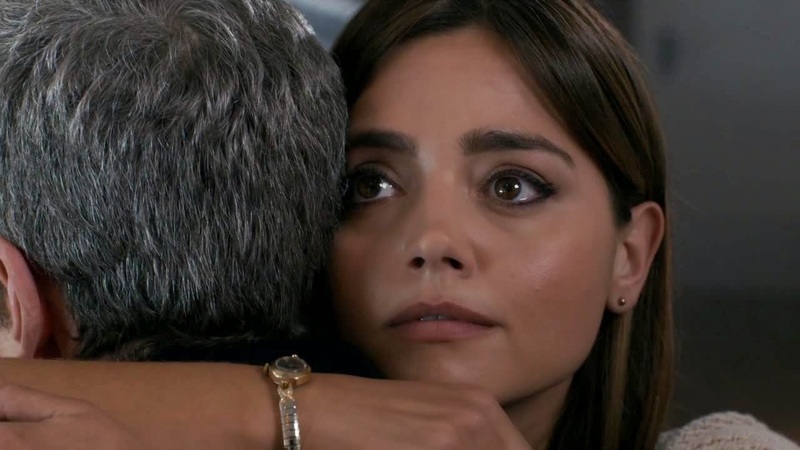 Clara rings the Doctor and wants him to help Danny lose his emotions. “He’s hurting because I hurt him” Clara, I think any hurts you caused lying to him are probably third in line after being hit by a car and being converted into a Cyberman. The Doctor points out that an emotionless Cyber-Danny would kill her “I’m not going to help you commit suicide!” he pleads. Clara angrily responds “Either you help me, or you leave me alone!” She’d always forgive him though, we remember that from earlier. We also remember Cyber-Danny threatening to kill her which is about to become quite important. 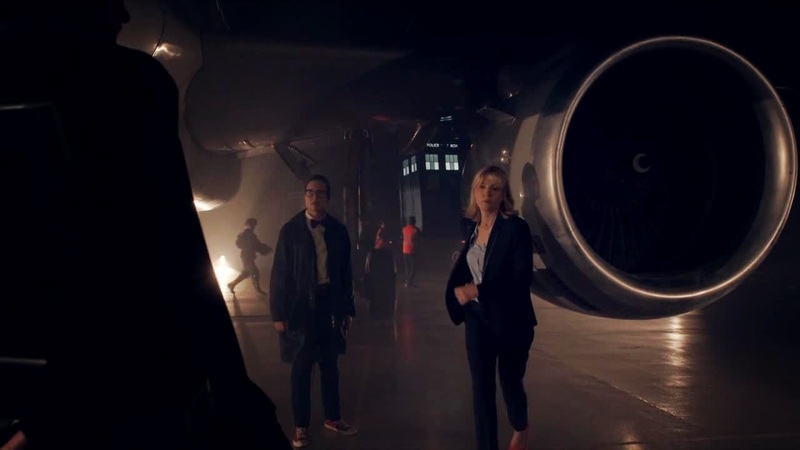 So Kate joins the Doctor and the Master in the cargo hold and the Master opens the door sucking Kate out of the plane. The Master throws in some casual racism towards Belgium and teleports moments before the Doctor also falls out and the plane explodes. 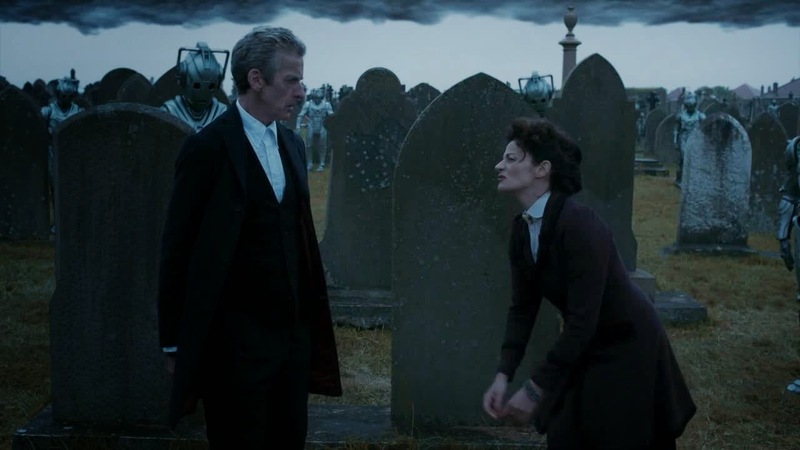 The Doctor manages to ‘Buzz Lightyear’ himself into the falling Tardis and joins Clara in the graveyard. Now the Doctor refuses again to help Danny and instead asks him for inside knowledge on the Cybermen. Danny reveals that the only way to unlock that information is to deactivate his emotions. “Clara watch this! This is who the Doctor is. Watch the blood-soaked old general in action… didn’t all those beautiful speeches disappear in the face of a tactical advantage” So the Doctor is blood-soaked if he sacrifices one DEAD man’s emotions to save billions of living people? “You don’t have a choice. There’s only one way you can stop these clouds from opening up and killing all your little pets down here…conquer the universe Mr President!” So the Doctor’s only choice is to conquer the universe. Either that or he could just tell the Cybermen to destroy each other and the clouds, that would also work. The Doctor refuses to control the Cybermen. He says that he doesn’t need an army because he has people like Clara and Danny. “Love is not an emotion. Love is a promise and he will never hurt her” Firstly love is very much an emotion, that’s what it is. I appreciate that love is more than an emotion, speaking in a social/spiritual sense but it is still an emotion regardless of what else it might be. Now if the line had been “Love is not JUST an emotion. Love is a promise” it would have been absolutely fine. Now I suspect it was made shorter, more catchy and ‘emotional’ for the sake of Tumblr. 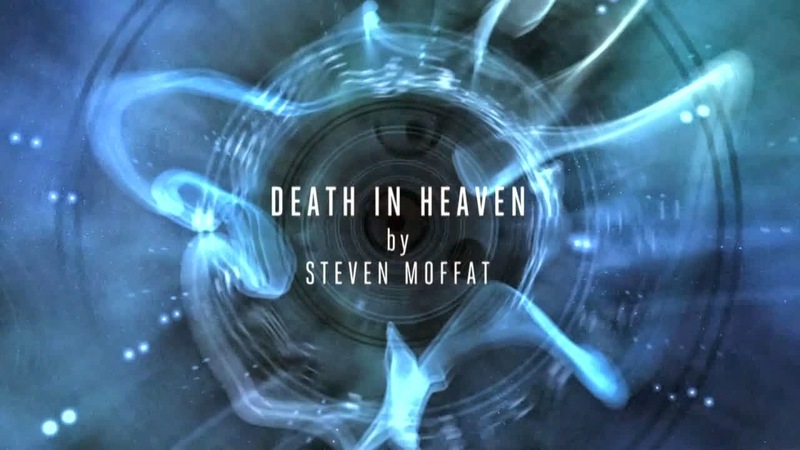 Not that I have any proof that Moffat would aim his show at the Tumblr crowd…. Secondly for someone who would never hurt her, Danny seemed pretty close to shooting Clara in the face earlier. Now Moffat wanted to have a scene where we questioned Danny’s humanity but he also wanted a scene where we didn’t question Danny’s humanity. So being sensible he used both ideas and put them next to each other and hoped for the best. Throwing some nonsense about the magical overpowering effect of love doesn’t hide inconsistent character writing. It didn’t work when Clara was threatening the Doctor in ‘Dark Water’ and it doesn’t work now. 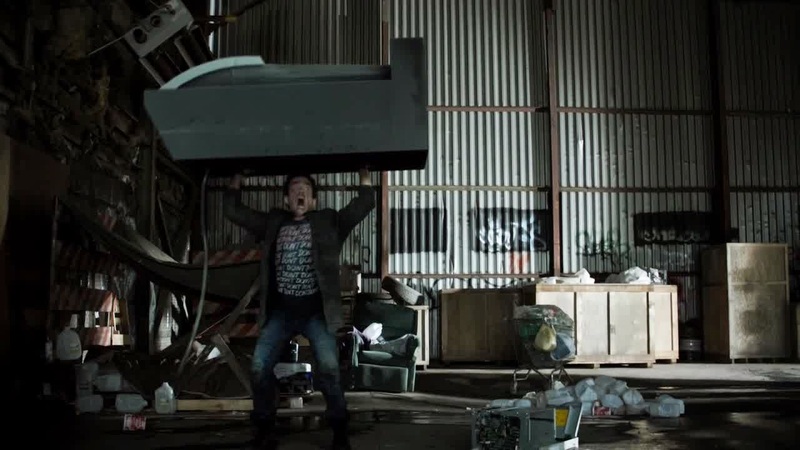 So yeah, Danny sacrifices his death to save the world and humanity is saved. Clara wants to kill Missy and the Doctor stops her, offering to kill Missy himself to save Clara’s “Soul”. 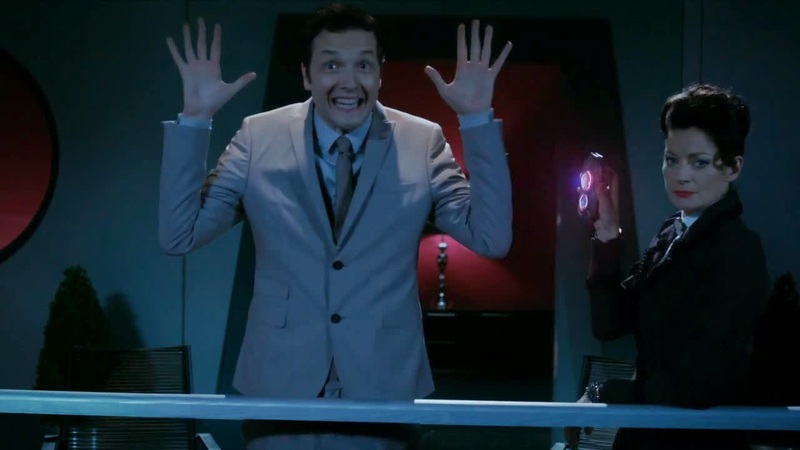 At the last minute a Cyberman shoots Missy instead and a million Doctor Who fans died inside. 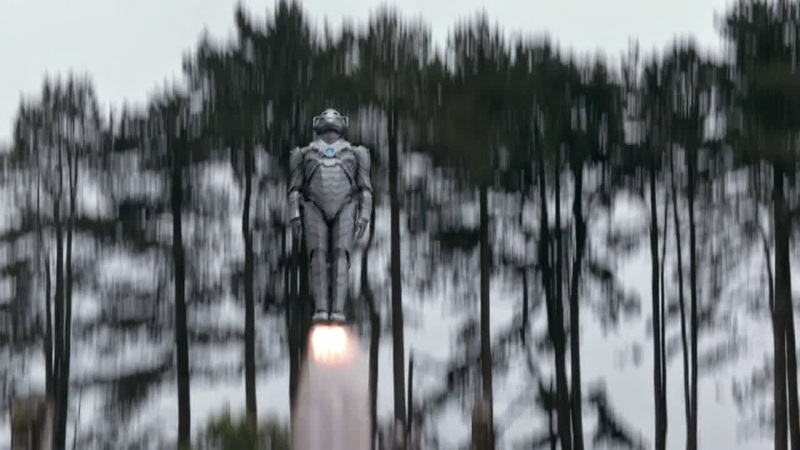 The brigadier has been resurrected as a Cyberman and flies off into the sunset. I guess throwing in this scene in “The Wedding of River Song” honouring Nicholas Courtney and the Brigadier gives you a free pass to desecrate his memory later? I really hope that Cyber-Brigadier doesn’t return to the series but knowing Moffat he might well. I like that Moffat said the Rani would have been too difficult to introduce to new fans but at least 5 minutes of this episode are dedicated to explaining who the Brigadier is. 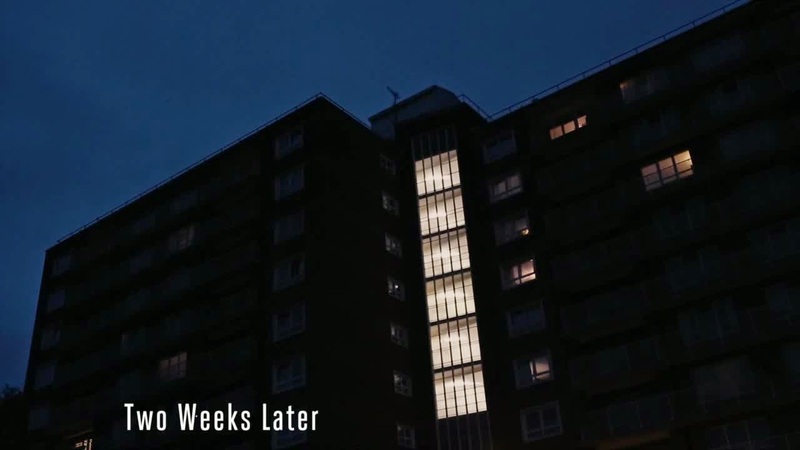 We jump ahead to two weeks later and Clara is woken up by Danny’s spirit. Danny has worked out how to send a single human through from the Nethersphere and sends the child that he shot. 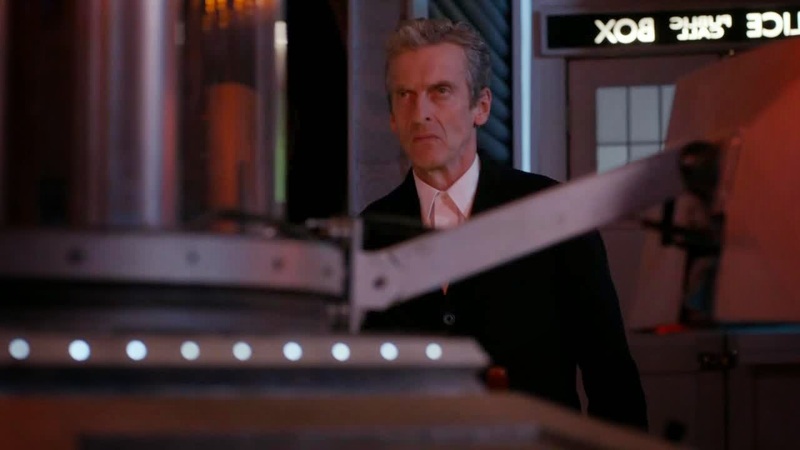 Clara meets up with the Doctor and tries to tell him that Danny has died and that she can’t travel with him anymore. The Doctor interrupts her, believing Danny to be alive and tells Clara that he has found Gallifrey and can’t travel with her anyway. “I’ve found Gallifrey. For once she (Missy) wasn’t lying”. Ok when did Missy lie? I guess she lied about being a robot in ‘Dark Water’ but she was actually very honest throughout these episodes. I wouldn’t bring this up but we had that big scene where Missy was honest about intending to kill Osgood. So if you’re setting up Missy as psychopathically honest why does the Doctor treat her as a habitual liar? The Doctor and Clara say their goodbyes, lying to each other about being happy. They go their separate ways, miserable but trying to hide it. 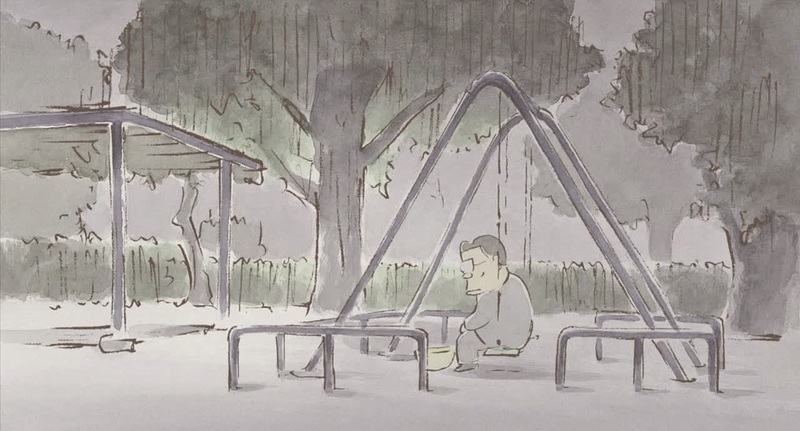 This ending is really good, really strong and genuinely sad. 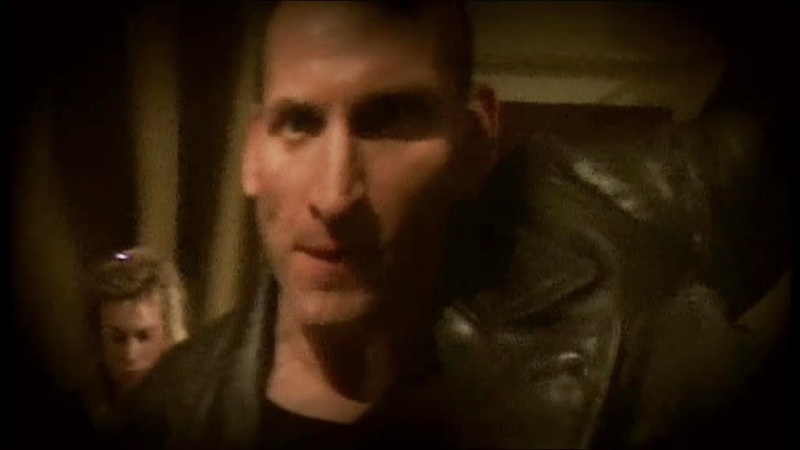 Eight seconds, that’s how long Moffat takes to ruin this ending. 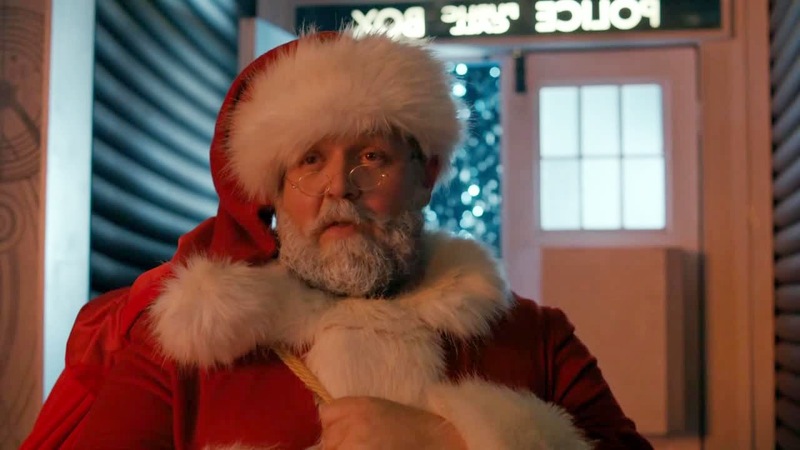 Eight seconds into the closing titles Father Christmas arrives to save the Doctor and Clara’s relationship. Why would you even try to give your show a sad ending if you immediately intend to undermine it? Even putting this scene at the end of the credits would have been better. Eight seconds is clearly how much time Moffat is willing to risk on his fans switching channels. This episode is really badly written. It has some interesting ideas but they are really poorly handled. The Cybermen raising the dead is an interesting angle but it isn’t explained at all. Why are Danny and the Brigadier immune to the Cyber-control? Is it because they were soldiers? It is because they knew the Doctor? In addition, once you start resurrecting dead companions where does that end? Are Cyber-Rory and Cyber-Amy walking around New York? Were they immune to the Cyber-control or were they not “Special” enough. Even the best moment of the episode doesn’t make sense under scrutiny. The Doctor is distraught because Gallifrey is still missing but he obviously hasn’t spent any time looking for it. Maybe he’s annoyed that he was so easily tricked but it’s still odd that he only now seems to have remembered that he wanted to find Gallifrey.